Classic Legends Pvt. Ltd. announced the commencement of delivery of Jawa motorcycles to its customers from Today. The motorcycles will be handed over to customers who had made bookings online from 15th November 2018 as per the booking sequence. This is the most important milestone yet in this journey as the first Jawa motorcycles hit the road today. Since we launched the brand and our motorcycles in November last year, it was not just a tremendous response that we received from our customers, but also unparalleled trust in the form of bookings, starting from day one. Today, we enter the next phase of our journey where we set out to begin fulfilling our commitment towards our customers. 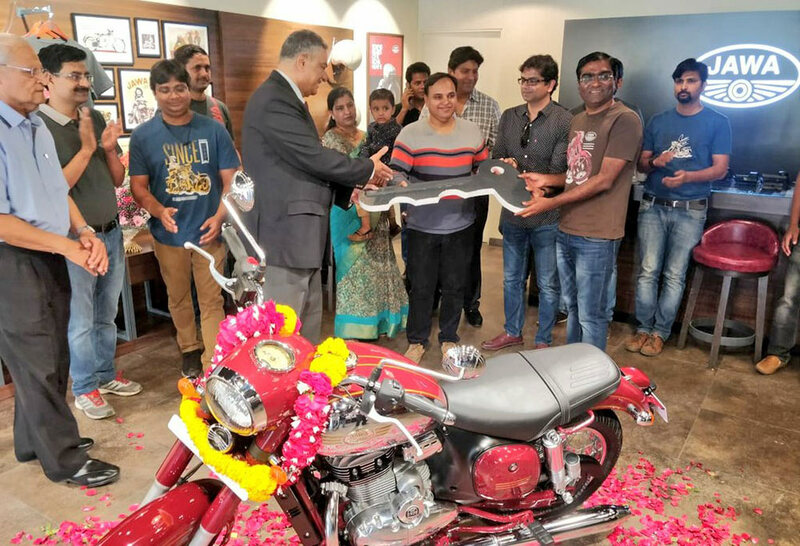 The last few months were really action packed for us at Jawa Motorcycles as we worked round the clock to set up our dealership network across India and start production simultaneously to meet our delivery commitments. Now that we are ready with our network, we begin deliveries of motorcycles to our customers and appreciate their trust and patience. As we move ahead, we will be reaching out to customers who have booked their Jawa motorcycles online as their names comes up in the delivery sequence. Prior to this delivery announcement, Classic Legends followed an aggressive approach towards setting up its sales and service network. 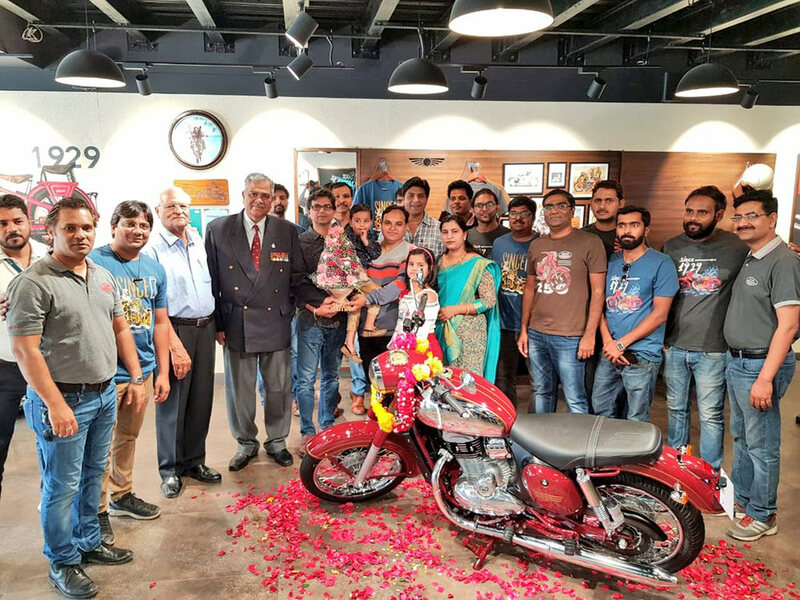 The company now operates 95 Jawa Motorcycles dealerships across 77 cities in India. The brand has made this massive expansion across the country in a span of just three months, making this the fastest for any automobile manufacturer in India. With this vast nationwide dealership base, Classic Legends is now best poised to deliver the motorcycles to its customers from every part of the country as per the committed timeline. Customers can continue booking the motorcycles by visiting a nearby showroom. The company will also be offering the largest number of financial tie-ups with best in class finance schemes for its customers. The list of financial partners includes HDFC Bank, Tata Capital, ICICI Bank, Mahindra Finance, Capital First (now IDFC Bank), L&T Finance Limited and Hinduja Leyland Finance at the national level in addition to regional partners. The Jawa Motorcycles are powered by an all-new 293cc, liquid cooled, single cylinder, DOHC engine nestled within a double cradle chassis that is tuned to bring out the superlative handling and class leading stability, making the new Jawa a true modern classic. The Jawa andJawa forty two are priced at INR 1,64,000/- and INR 1,55,000/- respectively (ex-showroom, Delhi) and the Dual Channel ABS variants will be priced at INR 1,72,942/- & INR 1,63,942/- respectively. The motorcycles are manufactured at the company’s Pithampur plant in Madhya Pradesh.